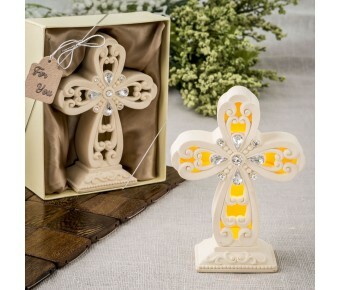 Light up your event tables with these beautiful crosses that glow with a warm yellow light. 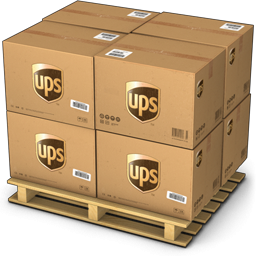 They will create a magnificent ambiance that will delight your guests. This magnificent Cross statue is crafted from poly resin and finished in a matte ivory color. The front of the cross features a cut-out scallop design and has clear rhinestone accents in the center in a flower petal design. The cross is designed in one piece and stands on an ivory pedestal beautifully finished with a filigree design and small beads going around the base. 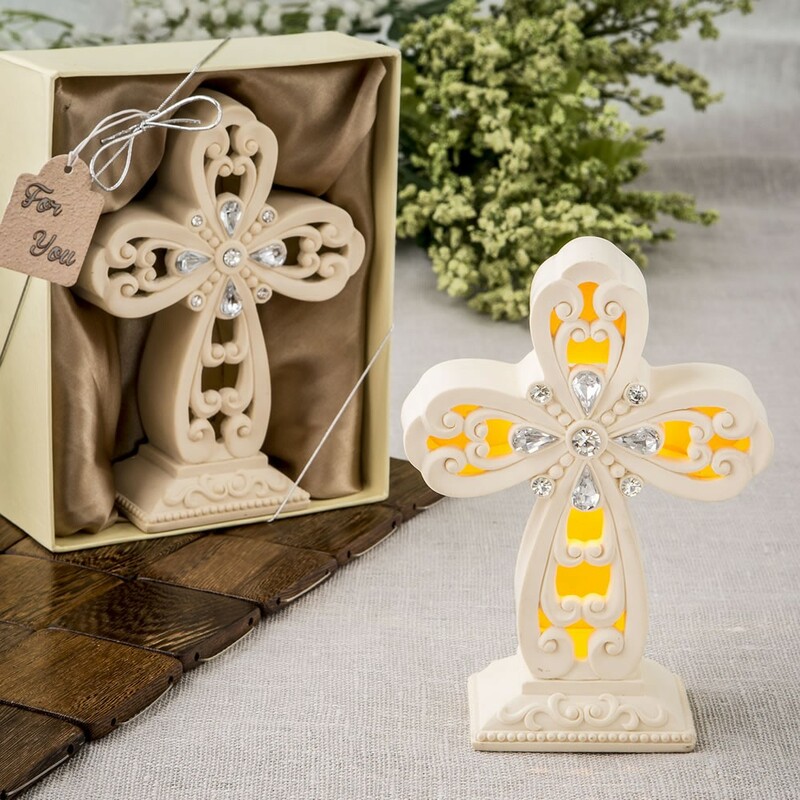 This unique standing ornament has a strategically placed LED light that illuminates the inside of the cross in a lovely warm yellow glow. There is an easy on / off switch on the back of the cross to turn the battery operated light on and off. The battery is included. Create a fabulous ambiance on your event tables and offer each guest a Cross to take home. They make the perfect favors for a christenings, communions, baptisms and other Christian religious occasions. Size 5 1/5" x 4" x 1 1/4"